This is not an opportunity for progressives to miss. Britain is off to war again. The parliamentary debate did not live up to the billing. Cameron and Corbyn underperformed. Hilary Benn stole the show and headlines. Great rhetorical moment this was not. This wasn’t of the quality of 1939 and the outbreak of World War Two, 1940 and the resignation of Chamberlain as PM, Suez and Anthony Eden comparing the Egyptian leader Nasser to Hitler and Mussolini, or even more recently, the Falklands war, when at the outset Margaret Thatcher’s political fate hung in the balance. This was a diminished debate reflecting Britain’s unsure, nervous position and status. The UK armed forces are at their smallest in decades. There was the shadow of Iraq – constantly referenced throughout the parliamentary debate. Cameron talked of ‘past mistakes’ and Corbyn of ‘the spectre of Iraq’. None of this was helped by the long drawn out process and non-publication of the Chilcot inquiry into the lessons from the Iraq debacle. Cameron wanted to reverse the result of the previous Syria vote in 2013 – when Ed Miliband and Labour stopped the UK from intervening against Assad. This was seen as a humiliation by Cameron – chiming with the Russian government’s dismissive view of the UK as a ‘just a small island … no one pays any attention to them’. US Senator John McCain gave voice to similar sentiment this week when he talked of any UK contribution in Syria as ‘token’. The deeper backstory is about how the UK sees itself, the UK-US relationship and this country’s position in the world. 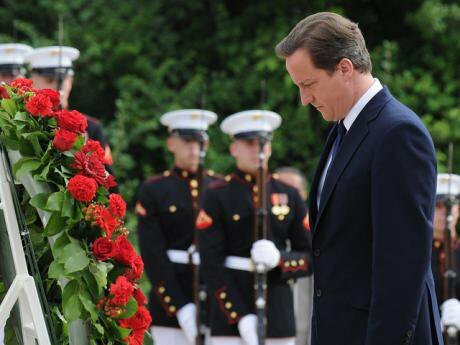 There was anxiety in UK political elites about not being able to be alongside the US in Syria. There was also a widespread sentiment after the Paris attacks of wanting to stand in solidarity with the French against ISIS. There is US nervousness about ‘little Englanderism’. President Obama has indicated that the US government would prefer that the UK remain a member of the EU. They are concerned about the close UK relationship with the Chinese government. This has seen George Osborne allow the Chinese to part finance the UK’s nuclear power programme, as well as investing in other infrastructure. The mood of Britain and Scotland is brittle. Post-Paris there is a belief that something should be done, but no real clarity about what it should be. A Sky News poll the day after the vote showed 54:46 support for airstrikes; Scotland 52:48 against. A mere 20% of the UK public think airstrikes will make them safer, 43% less safe. There is no real enthusiasm for military engagement. None of this is helped by the UK government’s lack of strategy – beyond degrading ISIS. Two years ago Cameron wanted to bomb the Syrian Assad regime. Now he wants, at least by default, to aid them. There is the problem of the 70,000 ‘moderate’ fighters in Syria, which the Ministry of Defence warned Cameron not to cite in the Commons. Tory MP Julian Lewis called this force ‘bogus battalions’. Tony Blair and his mythical Weapons of Mass Destruction haunt this debate. Fundamentally, this touches what Britain is and the condition of its democracy. There was over-reach by some anti-war campaigners. Stop the War are against all military action by the West. There is an assumption by some that to be on the left is to be against all military action – which shows little history or facts. This at times spills over into intolerance for those with different views, abuse and intimidation. Cameron’s language describing anti-war supporters as ‘a bunch of terrorist sympathisers’ was disgraceful for a prime minister. The United Kingdom has been through much of its history defined by war, the military and warrior tradition, and conquering and colonising others. Large parts of British life, culture and the economy have been shaped by this and still are to this day – from the numerous tax havens (Bermuda, Cayman Islands and more) which are remnants of empire, to the City of London and its international reach and disconnect from the domestic economy – itself a relic of the age of the British imperial project. This isn’t as some progressives used to think all in the past. The UK armed forces since 1945 have only not been in active service in one solitary year – 1968 – the period between the end of the Aden disaster on the Arabian peninsula and the beginning of the Northern Ireland ‘troubles’ and the UK army’s deployment on the streets of the province. Something also changed in rhetoric and belief in the age of Thatcherism. Post-Falklands, British political elites found a self-confidence to lecture Europeans about the supposed ‘great British economic miracle’ and saw Britain’s armed forces as another expression of ‘putting the great back into Britain’. This combined with the end of the Cold War in 1989-91 freed up the UK alongside the Americans to engage in a more politically assertive global project – of asserting the supremacy of Western values. Then came Tony Blair and the UK engaged in a series of military interventions – culminating in the invasions of Afghanistan in 2001 and Iraq in 2003. The repercussions of the latter disaster stopped Blair’s liberal imperialist pretensions, but didn’t quell the wider dynamics. David Cameron, elected in 2010, and widely seen as ‘heir to Blair’, has on four occasions in five years presented the case to parliament for UK military action: Libya 2011, Syria (unsuccessfully) 2013, Iraq 2014 and Syria 2015. One of the questions which arises from this is where next and how can it realistically be stopped in the longer-term? The Labour party has had to navigate bitter divisions which have blunted any critique on the Syrian action. The party faces bitter structural and ideological divisions. Despite all of this the party managed to win the Oldham West and Royton by-election comfortably, repulsing the UKIP challenge, and giving Corbyn’s shaky leadership a breathing space. 57 out of Scotland’s 59 representatives opposed military action – every SNP MP and Labour’s Ian Murray. The SNP’s Westminster leader Angus Robertson rose to the occasion. Other Nationalist MPs, particularly on social media and after the vote, were less circumspect. A large part of Scotland feels it is being dragged into military action against its will. More fundamentally, Scotland is detaching itself from the British warrior tradition – a history which it was an enthusiastic participant in until very recently. These are hugely uncertain times. Last week’s debate and vote is not the end of the matter, but only the beginning. The tragedy of Syria, the mess of Iraq, the poison of ISIS, and the never-ending ‘war on terror’ are not going to conclude soon. The debate on UK airstrikes overstated the impact of bombing. There has to be a wider focus on the battle of ideas and a systematic campaign against ISIS’ business and financial interests and flows. This entails uncomfortable questions for the UK and the West about its historic allies in the region such as Saudi Arabia – the biggest arms importer in the world, with purchases of $6.5 billion last year and by far the largest market for the UK arms industry. Britain’s political classes have put their fate, pro and anti-war, in how military action in Syria and Iraq turns out. This will not be their finest hour. No quick fix or clear victory is evident. The public is wary and distrustful. Sadly, there is a high chance this will not turn out well for nearly all concerned. This is in many respects, as Tories such as Defence Minister Michael Fallon have portrayed, ‘a new Battle of Britain’, but not in the sense he meant. Instead, it is a fundamental, deep-seated and historic debate about the nature of the UK and the purpose and values of British power and where they sit. The UK has through the ages been a warrior nation, and one that despite lots of left rhetoric, many even on the left have chosen to shy away from the full consequences of, believing that incremental change to state and polity is possible. Instead, for any realistic hope of a different Britain, it has to be recognised that an ‘empire of the mind’ exists across large swathes of government, military and the Foreign and Commonwealth Office, international aid and cultural bodies of soft power such as the BBC and British Council. Challenging this necessitates a political project going beyond the simplistic left sloganeering of Stop the War, the unreformed conservatism of the Corbynistas, and the mainstream Labour’s incorporation into the dominant stories of Britain. With Britain facing multiple challenges – about what it is and where it sees its future: economic, social, democratic and geo-political (such as the coming Brexit vote) – that does not leave much room for a radical liberal, left, democratising and republican politics of state making to emerge. But these deep, tectonic plates shaping the UK are clearly on the move and while this is scary in many respects, it is also a huge opportunity. The next decade or so will see an opening for a very different Britain to emerge – one based on people, democracies and a diverse polity. It is not something which progressives and radicals can afford to be missed.